Tucson sent a cactus. Gary, Indiana took out an ad in the New York Times. Stonecrest, Georgia offered to rename its city. And those are the long shots. Over 100 municipalities, including Boston, Atlanta, Detroit, Nashville, Kansas City, Memphis, Little Rock, Dallas, Philadelphia, New Orleans, Denver, Chicago, Phoenix, Louisville, Raleigh, and Austin are planning to submit proposals on October 19th to woo Amazon’s Second Headquarters, in what has already become an embarrassing spectacle. But rather than shower Amazon with billions in incentives, American cities should be taking a shower. A cold one. There are myriad practical reasons to walk away from the Amazon headquarters sweepstakes. Just ask Seattle, where Amazon employees are nicknamed Amholes, housing costs are through the roof, and residents are trapped in traffic. But the most compelling reason is that Amazon is a deeply immoral and unfathomably powerful monopoly which threatens small business, labor, publishing, retail, and even the architecture of the Internet. In a time of record inequality, Amazon is exhibit A for everything that is wrong with today’s economy. Amazon’s reach is so enormous—retail, cloud computing, supply chain, film, books, television, music, artificial intelligence, delivery, and even food—that it is honestly difficult to grasp it all. But a good place to start is a well-researched and damning 79-page report on Amazon by the Institute for Local Self-Reliance (ILSR), a non-profit promoting community-based economies. It should be required reading for any individual in a position to promote a city as an applicant—or supplicant—for Amazon’s second headquarters. From Amazon’s inception, CEO Jeff Bezos’s explicit aim has been the absolute destruction of all competition, until Amazon—and only Amazon—would sell everything to everybody. How he’s done that thus far is less about innovation and more about old-fashioned anti-competitive behavior and extortion. Using tremendous amounts of capital investment, Amazon subsidized below-cost sales, losing money for nearly two decades in order to eliminate competitors—often small businesses—who could not match its prices. As market share has grown, Bezos has leveraged that power to intimidate new rivals into selling their business to him or participating in the Amazon Marketplace, where those businesses essentially hand over all of their proprietary knowledge to algorithms, join a race to the bottom in prices, and pay for the privilege. If they don’t, Amazon drastically undercuts them until they fold—the method by which they acquired Zappos and Diapers.com. Because Amazon now controls an unimaginable share of online commerce—over 40% of the US market according to Business Insider—they have enormous influence in who sees what. In The Everything Store, Randy Miller, an executive in vendor relations, happily described to author Brad Stone the way he pressured publishers to give Amazon a better deal, raising prices, pulling titles from their recommendation engine, and promoting their competition, saying, “I did everything I could to screw with their performance.” Since an increasing number of searches are done on Amazon directly, the company can effectively ruin a book’s chances of success. That isn’t merely a question of economics, but of virtual censorship. That such clear monopolistic behavior was played out in a brazen public price dispute between Amazon and Hachette in 2014 is evidence that Amazon—correctly—feared no trust-busting reprisals. Unlike former monopolists, who at least had the good taste to stay in their lane, Bezos is not satisfied with merely dominating one product or sector. It’s hard to imagine Andrew Carnegie buying a major national news outlet, as Bezos has done with the Washington Post. Or J.P. Morgan branching out into the food supply, as Amazon has done with Whole Foods. Or John D. Rockefeller quietly cornering the world’s communication infrastructure, as Amazon is doing with their Web Services. Any single one of these should be enough to spring vigorous anti-trust efforts into hyperdrive. Instead, Amazon is endlessly lauded in the press and given handouts and incentives by government officials. Ironically, these incentives further consolidate Amazon’s advantage over independent business, funneling ever-more money away from local communities and into distant corporate headquarters. Rather than creating jobs as they are so fond of claiming, Amazon is responsible for a massive net job loss in this country, estimated at 149,000 by ILSR. The migration to e-commerce has been devastating to retail, which employs 10% of the American workforce. The New York Times reported earlier this year that 89,000 general merchandise workers had been laid off in six months, more than are employed in the entire coal industry. The loss of brick-and-mortar shops affects not only employment, but the very fabric of local communities who have seen their main streets hollowed out. Like a lot of recent shifts, this trend hurts smaller, rural communities the most. But Amazon never cared about labor. Bezos’s attitude is encapsulated perfectly by Mechanical Turk, its online task outsourcing platform that turns people into meaningless, replaceable parts. Its warehouse workers are forced to work a relentless pace, kept from unionizing, forced to go through metal detectors, and paid lower than industry-average wages—15% lower according to the ILSR report. In 2011, Allentown’s The Morning Call famously reported that Amazon preferred to have ambulances standing by when employees collapsed from heat stroke rather than pay to air-condition its 100-degree warehouse. Of course, in the future, all of those warehouse jobs will be done by robots. My guess is the robots will get air conditioning. Mayors and governors conveniently forget such details, and alas, even who their constituents are, next to the glowing, self-serving ambition of Amazon. “We want them to tell us what they need and we want to provide those needs,” said Pittsburgh County Executive Rich Fitzgerald to WPXI, unwittingly revealing the corrupting influence of monopoly power. Detroit, after losing 25% of its population between 2000 and 2010 (and over 60% from its 1950 peak) with the collapse of the auto industry, should know better than most about the dangers of industry monoculture. Nonetheless, Quicken Loans founder Dan Gilbert has helped the city set up a “war room” where 30 to 40 people are working “around the clock,” to lure another gigantic company to its empty skyscrapers, according to the Detroit Free Press. 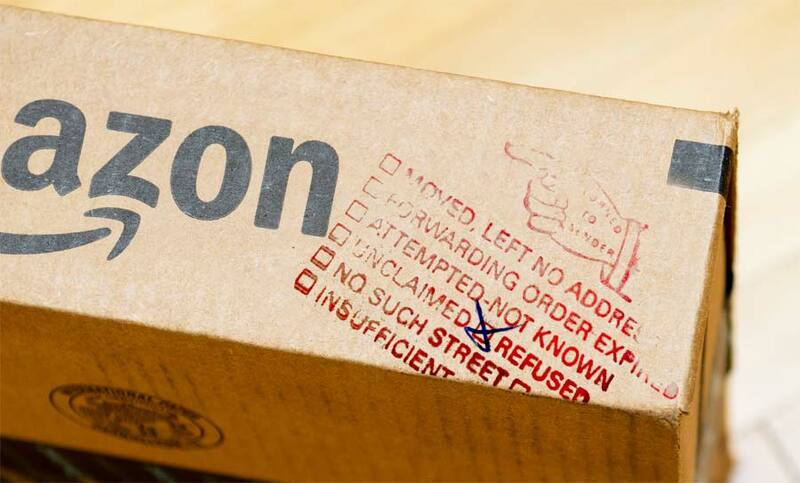 These governments continue to fawn over Amazon apparently even while suing them. The Boston Globe just reported that Massachusetts—in the midst of its own bid for HQ2—recently went to court over records regarding taxes owed by Amazon’s third-party vendors, which the company has thus far refused to provide. But that’s not surprising, since it built much of its unfair advantage over physical stores by not charging sales tax for most of its existence. The headquarters search itself illustrates Amazon’s self-centered venality and unchecked power. The company could have easily narrowed down its search to a few locations and quietly engaged them. Instead, Bezos launched a sweepstakes, so he can watch the spectacle of over 100 municipalities, most of which have no chance, fumble all over themselves to woo the Internet giant, all while wasting millions of taxpayer dollars and tens of thousands of work hours. A caller to NPR’s On Point on September 20th distilled this process to its essence, calling it “a public auction to see which city in North America can give the most money to the world’s richest man.” To be fair, Bezos is only the fourth richest man, according to Forbes. For now. As economist William Mellor put it to the El Paso Times, “This is going to be a knock-down, drag-out fight. Amazon made it clear it wants communities to compete against each other.” And that’s all you need to know. American communities shouldn’t be fighting against each other, we should be cooperating. Gaining 50,000 jobs in one place, at the cost of draining 100,000 from someplace else, isn’t something to be proud of. Even if Amazon were a paragon of virtue, giving taxpayer money to the world’s fourth or fifth most valuable company is civil malpractice. Offering it to a monopoly which manipulates markets, degrades labor, destroys small business, and controls what media America sees is utterly disgusting. American cities should redirect the prodigious handouts they are prepared to offer Amazon toward the communities who actually need and deserve it. 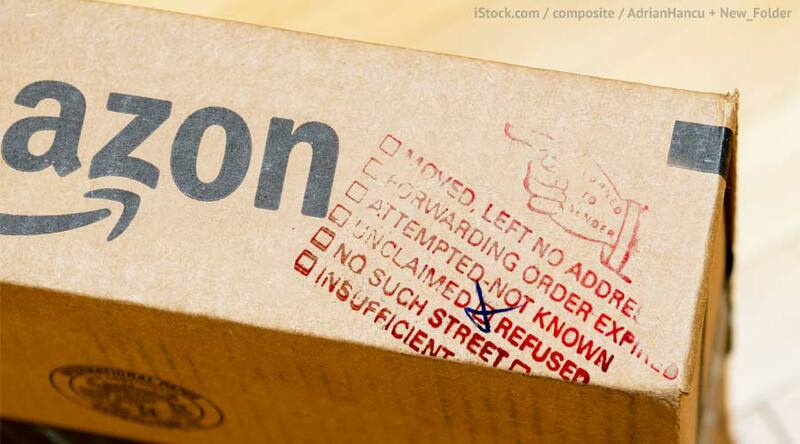 It is long past time for the government to enforce existing anti-trust law so that Amazon can be welcomed into the only new home appropriate for it: federal court.